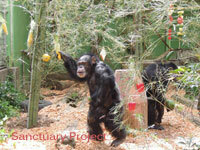 who are trying to establish a sanctuary for captive chimpanzees in Japan. Here in Japan, there are almost no chimpanzees who are used in a circus or kept as pets, but in zoos, there are many individuals who are treated as surplus because they cannot be a part of a group for various reasons. But there is no sanctuary in Japan. 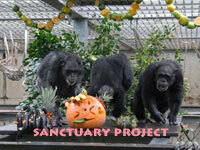 So, to provide a proper lifelong care for such chimpanzees, we are trying to establish a sanctuary in japan.